Boy oh boy! I wasn’t sure I was actually going to be able to find the time to get my monthly Small Business Saturday May addition published because we have been so busy this month! Whether it was appointments, play dates, other blog post deadlines; I’ve just been feeling a little swamped lately. I can’t really complain though because I would rather be busy than not! So without any more ramblings from me, let’s get into May’s addition of small businesses I love! 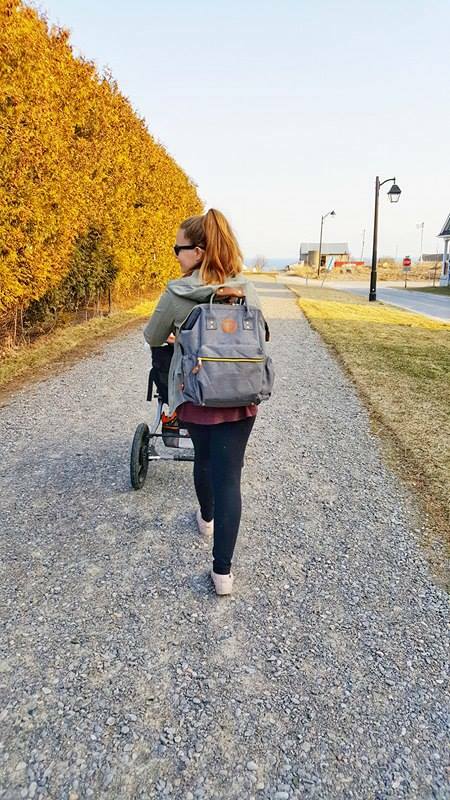 Every now and then I’ll come across a product and think to myself “I wish I had known about this sooner!” and that’s exactly how I feel about Anchored East Co’s amazing diaper bag backpack! Let me start off by saying when I first received this backpack it was in exchange for a blog post as well as a few Instagram features but I NEVER and I mean NEVER post on items that I don’t truly love or 100% believe in. I would never do a product review or feature and lie to my audience so believe me when I say moms and dads you NEED this backpack in your life!!! Seriously! I’ve had at least three diaper bags since having Nate but this is by far the best one I have ever owned and I wish I had it all along. This backpack is not only functional but also fashionable which can be a rarity in the world of children’s products. It’s large enough to fit everything you want to take with you for an entire day out of the house and lightweight enough that it can also be used for short outings to the grocery store or park. The padded shoulder straps provide excellent comfort for all day wear and the amount of pockets and storage space this bag has is unbelievable! The double stitched areas and rivet reinforcement means that this bag is extra durable and long-lasting for all your baby and toddler needs. Water proof fabric and four sturdy luggage style ‘feet’ give this bag a one-up on its competitors. Believe me when I say, you will never need another diaper bag. Ever. Both my husband and I wore this bag all over Nashville and not once during our trip did our back or shoulders hurt because of this bag which is definitely not something I can say about previous bags we have owned. I also love the Anchored East Co has created a bag that even the most masculine guy wouldn’t mind wearing. Simple grey colour is subtle in appearance but with those high quality leather accents, this bag is anything but boring. Although technically this business is based out of the U.S.A. I felt the need to include them in my blog share for two main reasons… first being how much I do truly love this bag and second, this business is run by a fellow mom and I’m a firm believer in supporting mom-run businesses! You can find Anchored East Co on Instagram and shop them on Amazon! What can I say, I’m a sucker for unique small businesses. I mean, I truly do love almost all small businesses I come across but the ones that stand out to me are the ones who think outside of the box. The ones who create items that I never would have even thought of. The ones that when I discover them I think to myself “Wow! This shop is really cool!” And that’s exactly what I thought when I discovered Baby Octopi just a little over a month ago. I was added into an Instagram engagement group for my blog along with some other fabulous accounts and businesses including this one. Once I began looking at their pictures and reading their story, I knew I wanted to include them at some point in my small business series. Although, technically not local to me, they are within Ontario, Canada which still fits with my support Ontario made/ Canadian made theme. Lisa is the owner of this business and busy mom to three growing boys! Lisa’s love of all things baby began earlier as she states in her bio; with an education background in child and youth care, a year spent overseas working in orphanages and hospitals, as well as a career in pregnancy support, this business is her way of giving back to all those organizations she loves so much and providing moms with quality products at an affordable price. From sleep sacks, to swaddles, to the crochet octopus that started it all, these products are not only adorable but they are functional too. While in utero, many fetuses seek comfort in their umbilical cords by holding or playing with them; once they are born and the umbilical cord is cut, they now have to adjust to life outside their comfort zone which I would imagine can be very scary and overwhelming. The legs on the octopi by Baby Octopus are created to mimic an umbilical cord by being made in the same shape and size as your baby would have had in utero. 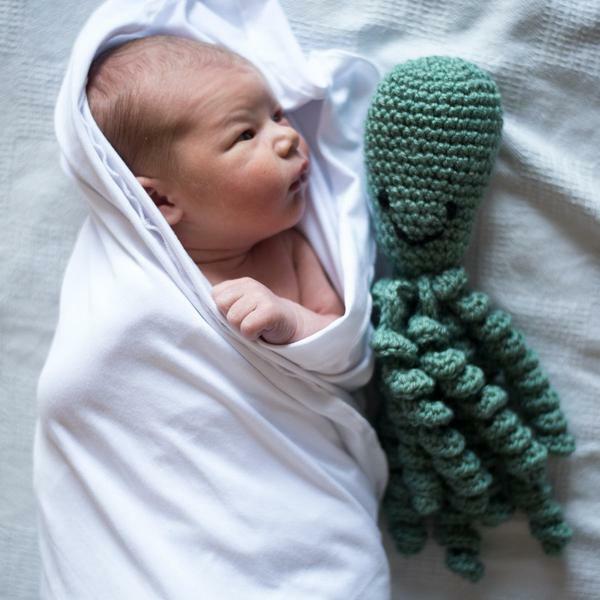 These octopi can provide comfort and familiarity to your newborn in times of stress or discomfort and help them to transition to life outside the womb. You can check out Baby Octopi on Instagram and shop them on their website! I’m very proud of the Maker community I get to be a part of in my area. There are some crazy talented and amazing people in this community and Erin, owner of Neon Chickadee, is definitely a personal favourite of mine! Erin creates some of the most gorgeous boho inspired macrama pieces I have ever seen! I’ve always thought it was cool when something that was trendy decades ago comes back in style and lately it seems like macrame is all the rage these days. From plant hangers to wall art to zipper pulls to yoga mat carriers (yes, you read that right! Check them out here!) Neon Chickadee’s creations are nothing short of amazing! Her Instagram feed is chalk full of beautifully styled pictures of her creations along with bright and fresh looking plants that just gives me all the feels! I absolutely love scrolling through her pictures and staring at these amazing works of art! As someone who is really not THAT crafty, I’m always amazed when I see what some people are capable of! Seriously, her items some of my favourite to look at. 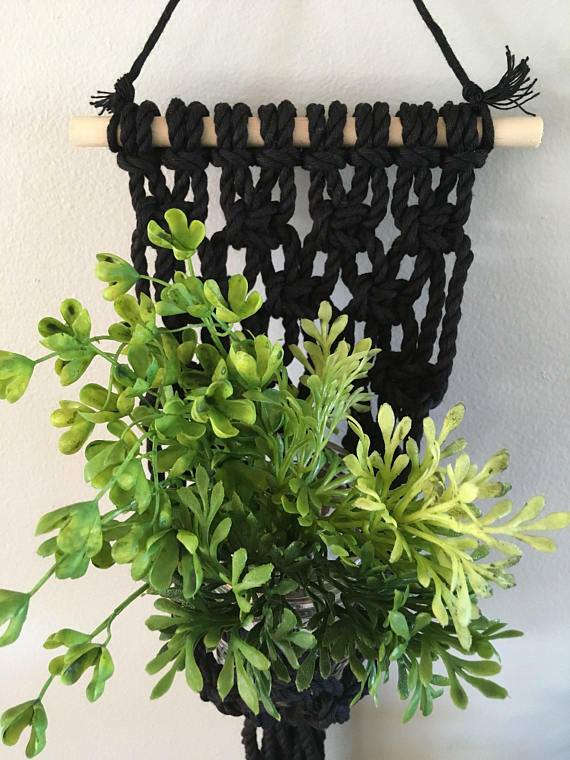 Whether you’re looking for something simple and classic to add to your home or something with a pop of colour, Neon Chickadee has all your macrame needs! Make sure you check out on Instagram and Etsy! Wooden, hand-painted signs seem to be all the rage right now but what if you want something a bit lighter to hang on your wall? Or you need to use tacks or those peel-and-stick hooks so you don’t damage the drywall? Obviously you can’t have a beautiful sign then right? WRONG! Thanks to The Friendly Camper Decor, you can have the look of a hand-painted wooden sign but on a beautiful canvas background instead! Krissi is the maker behind this relatively new business and one of my closest friends for the past ten years! After purchasing their new trailer, Krissi was looking for ways to hang artwork to make it seem a little “homier” and this lead her to canvas artwork. By using canvas and lightweight wooden frames, Krissi was able to get the look of expensive wooden signs but for a fraction of the price! Now she sells her gorgeous creations to others and business seems to be doing well for her as her Facebook page likes just keep soaring! From custom pieces to adorable sayings to even hand-painted woodland animals, you’re bound to find something on her page that suits your personal taste and style! You can find The Friendly Camper Decor on their Facebook page as well as their newly created (by me 😉 ) Instagram account! 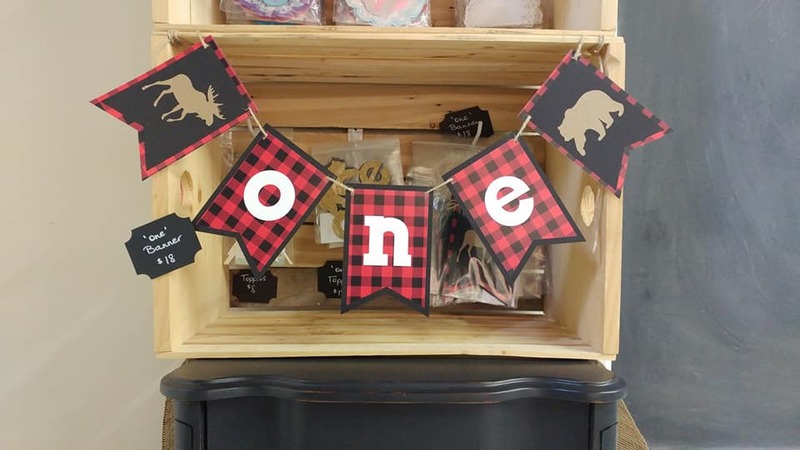 You may remember back in February when I posted about The Maker’s Hub of Durham on my Small Business Saturday series, well Cheryl who owns that amazing business also is the owner of this adorable small shop too! Personally Papered creates adorable party accessories for basically any event you can think of! Cheryl can create banners, cake toppers, fun decorations, and all sorts of goodies to make your party really stand out from anyone else’s. I don’t think there’s a theme she can’t do really! I’ve seen birthday banners used in photo shoots or cake smashes, fiesta decorations for a summer parties, wedding or baby shower pieces just to name a few. There really are no limitations to what Personally Papered can create for you! I actually have a woodland garland that Cheryl made for me hanging across the window of Eli’s nursery and it’s always one of the first things friends and family comment on when they see his nursery. I absolutely love looking at all her pictures she posts. Anything party or baby/ kid related always puts a smile on my face but Personally Papered doesn’t just do party decorations. If you’re looking for something handmade and unique for a holiday like Christmas or Easter, Cheryl has you covered as well! From gorgeous burlap bunting banners to the cutest (and I seriously mean the cutest) ‘Santa keys’, you’re bound to fall in love with it all! Personally Papered is on Facebook and Instagram so go check’em out! On of the very first things I bought for Eli’s nursery was a mobile similar to the one pictured above from Love Lou Home. It was literally the first thing in his nursery that had been bought solely for him and to this day it is still one of my favourite pieces in his room. When we found out we were expecting baby number 2, we decided to re-use a lot of the items that we had bought for Nate but since Nate never really had a mobile (and the one he did have he broke) I knew I wanted something unique for Eli’s room. I began browsing through Etsy when I stumbled across this shop. Instantly I knew this was what I wanted for our soon-to-be bundle of joy. I loved the simplicity this mobile had while also being modern and unique. I had ever seen a mobile quite like the ones Love Lou Home was creating and I really enjoyed how they moved in the breeze. 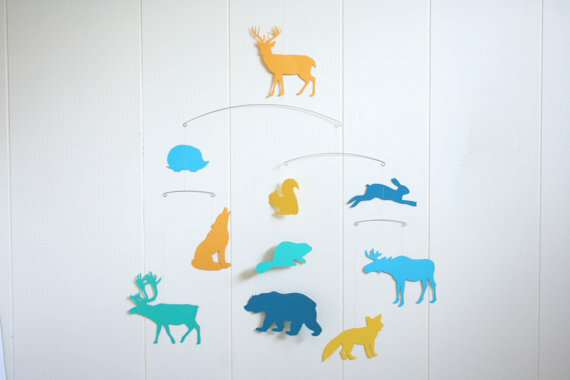 I had one customized in green, orange, and brown to keep on trend with the other pieces in the nursery and changed up the hedgehog to a Canada goose at no extra charge. The possibilities are seriously endless when it comes to this business and while yes, technically they are not local to me, given how much I LOVE the work this shop creates I had to have them featured at some point! Some of my favourite mobiles that Lousia creates are the 3D ones like her little houses, unicorns, birds, and airplanes! You definitely want to check out this amazing shop because who doesn’t love a little whimsy in their house!? 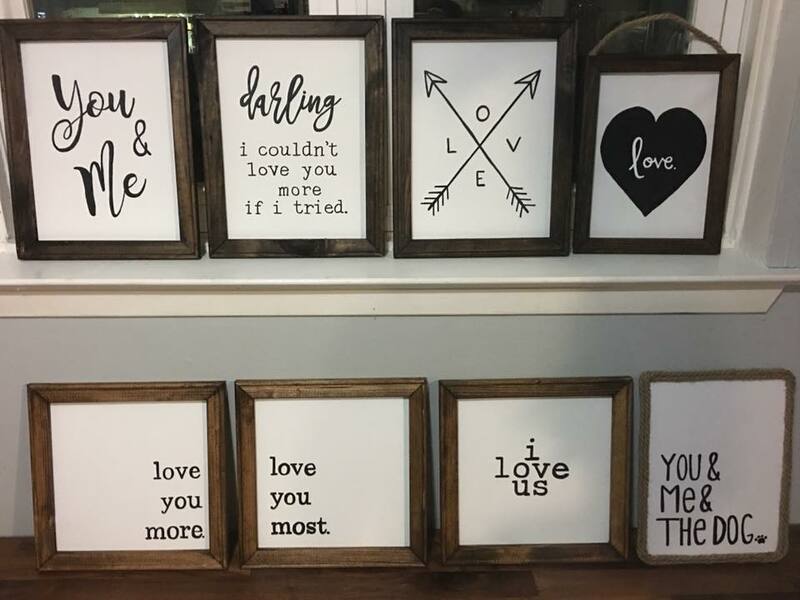 You can find Love Lou Home on their Etsy shop as well as Instagram and Facebook! I am so obsessed with the sugar cookie art trend that’s currently happening right now. Like seriously, I can’t get enough of seeing the amazing creations that people come up with and one of my favourite shops to follow is Eats and Treats by D. I mean, come on! Just look at how adorable that Valentine’s set pictured above is! It boggles my mind sometimes at just how talented some bakers are! Eats and Treats by D offers several delicious confections including personalized sugar cookies, gourmet cupcakes and cookies, Italian cookies and cuisine catering. Diana can basically do it all for you! Looking for cute first birthday cookies? No problem! Have a baptism coming up and want something special on the sweets table? She’s got you covered! Throwing a Cinco De Mayo party and need something to help soak up those margaritas? She’s your gal! Seriously, her possibilities are endless!! That seems to be an on-going trend with this series doesn’t it? But for real, it’s all true! I first came across Eats and Treats when I was doing my very first vendor show and I immediately filed them back in my brain for Eli’s upcoming first birthday party. I’m so excited to see the adorable cookies that Diana is going to create for us! 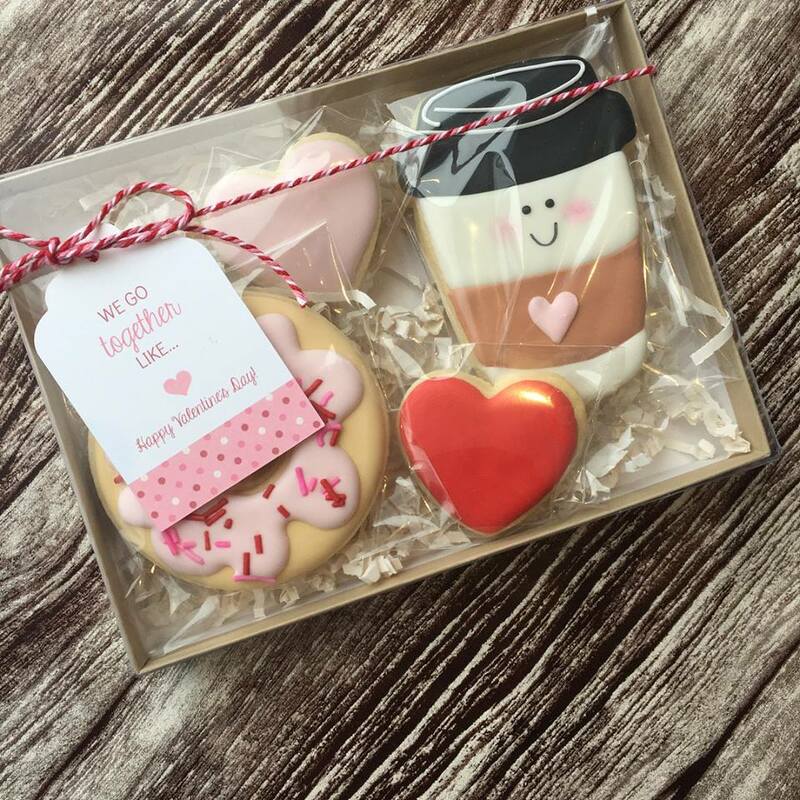 And if you’re looking for a cute take-away gift instead of the typical loot bags, you should check out her “paint your own cookies“. I’m sure any kid would love to receive one of those as a little thank you gift! Eats and Treats also specializes in holiday and seasonal cookies as well! Like I said, there’s nothing they can’t create! Currently Diana is booked solid through the summer but there are openings for the Fall still available! Make sure you check her out on Instagram and Facebook! Don’t miss your chance to get your orders in! I love being part of this maker community because you meet so many other amazing women (and men) who you might not have ever met before! Keeshia and I met at the start of this year when we did a vendor show together and I’m so glad to have met her! Keeshia is the owner of Customly Wrapped Creations which specializes in personalized clothing items. 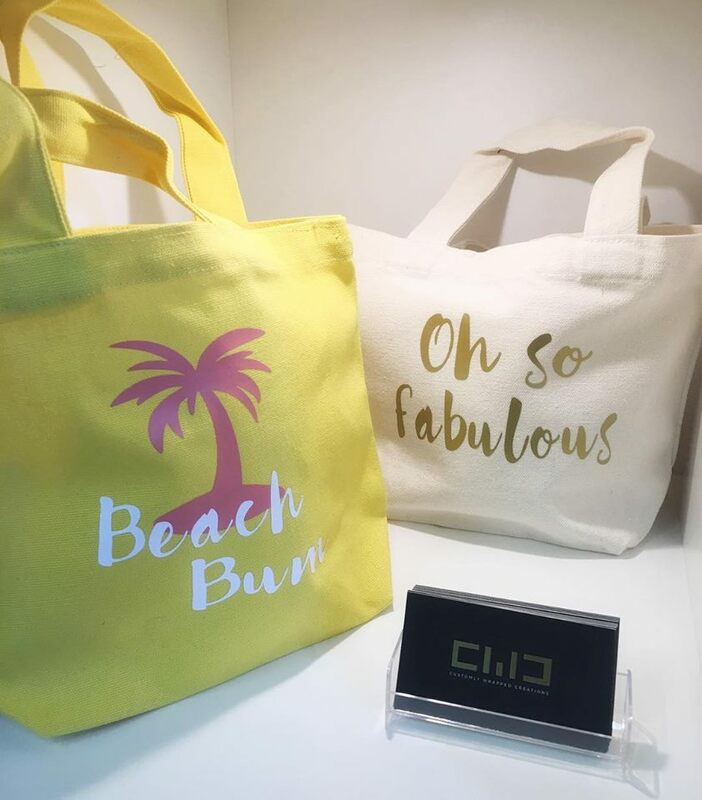 Whether you’re looking for a cute onesie for your pregnant bestie, a summer tote bag, or a unique gift for that special someone in your life, Customly Wrapped Creations has you covered! I love looking through all the adorable items that Keeshia comes up with! She really can create almost anything for you! I think some of my favourite items of hers I’ve seen are her holiday pieces like her Halloween trick-or-treat bags, Santa sacks, and adorable little Valentine’s Day goody packs. Everything is thought out so well and added personalized details make them even more special! Customly Wrapped Creations also makes some awesome make-up bags that I think would make such a nice bridal party gift or party favour for your make up loving tween! You can check out Keeshia and her awesome little business on Facebook as well as Instagram! Would you believe me if I told you that the picture above was actually soap and not some type of sugar confection? Because that’s exactly what they are! Crazy right!? Welcome to what’s possible for soap when the Sunny Rose Soap Company is in the kitchen… or would it be bathroom? Either way, this business creates some of the most beautiful bars of soap I have ever seen! In scents like Key Lime Pie, French Vanilla, and Chocolate cake, you might actually think these bars are editable! I’m sure they don’t taste as good as they look but they do look mighty tasty! The Sunny Rose Soap is one of those unique businesses that kinda dabbles in a little bit of everything! From making bars of soap, to bath bombs, to scrubs, to adorable crochet stuffies, and even doll clothes; you’re bound to find something that makes you smile! 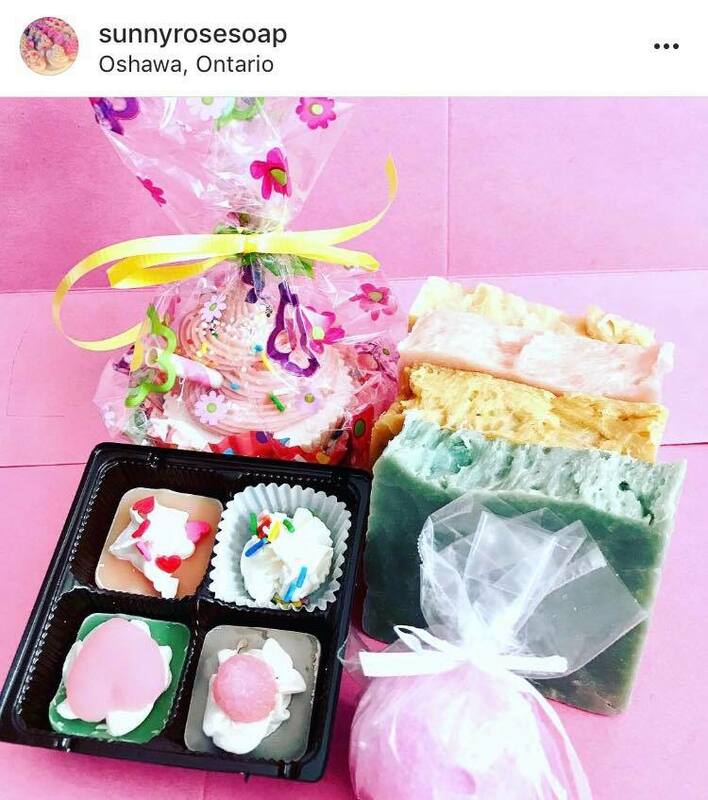 You can find this ‘crazy soap lady’ as she calls herself on Instagram at several local farmer’s markets throughout the summer months including the Whitby Farmer’s Market, the Clarington Farmer’s Market, as well as the Port Hope Farmer’s Market! You can also creep some more drool worthy (but not editable!) pictures on Instagram as well as get in touch with them on Facebook! Wow! I seriously cannot believe we’re already into month FIVE of my Small Business series! Technically six if you count the post from December which kinda started it all for me. Holy Smokes! I hope you all are loving these businesses I’m sharing and even better yet, I hope you’re checking them out because honestly, they are all amazing and worth taking a peek at! If there’s a business I haven’t mentioned but you think deserves to be features, feel free to comment below or send me an email with your suggestion! I’m always looking for more and more small businesses to support whether they’re local to me or not and I’d love to hear from you!! Next Post Eli at TEN Months Old!